EXPANDED MEDIA: Alfred friend Luftwerk among Newcity's 'Design 50'! Alfred friend Luftwerk among Newcity's 'Design 50'! Newcity recognized Luftwerk in their current issue 'Design 50' as part of a group of innovative designers who are shaping Chicago in 2016, pushing the limits of design. 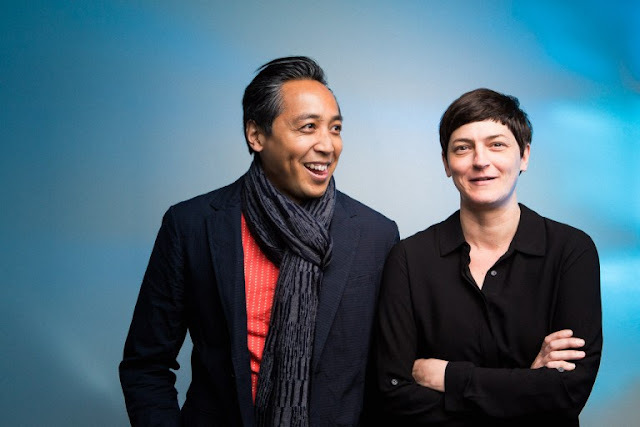 Luftwerk's Petra and Shawn (pictured above) are great friends of Alfred. They have been Institute for Electronic Arts artists in residents, a number of times.They made wonderful work in Alfred, including a major dance and video projection piece in the Fosdick-Nelson Gallery with D.Chase Angier for the exhibition As The Air Moves Back From You. Below is a link to a video documentation of this collaboration produced by Alfred Electronic Integrated Arts graduate student Yasmina Chavez.